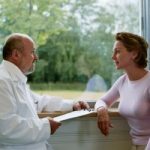 Home › Articles › Is Suboxone Rehab Right for Me? 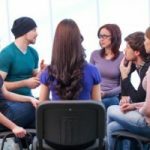 Once the decision to enter drug rehab is made, the wide range of program options available can make for a difficult decision process. People considering medication-based therapy options have their choice between methadone and buprenorphine treatment approaches, but how do you determine which one is right for you? Suboxone, one of two buprenorphine-based medication therapies offers a range of treatment benefits not provided through methadone treatment. 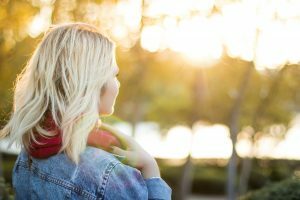 Whether or not Suboxone rehab is right for you depends on how motivated you are to live a drug-free life as well as your overall drug abuse history. If you’re motivated to overcome opiate addiction, Suboxone may be right for you. Suboxone works by mimicking the effects of addictive opiates while restoring the brain’s chemical system back to normal functioning. According to the Commonwealth of Massachusetts resource site, the Suboxone rehab treatment process entails three phases: induction, stabilization and maintenance. The induction phase entails allowing brain and bodily processes to adapt to the effects of the drug. During the stabilization phase, dosage level adjustments are made until the optimal dosage amount is found. Once a person reaches the maintenance phase, he or she experiences no symptoms of withdrawal or drug cravings. Call our helpline at 800-533-1341 to see if your insurance will help pay your rehab costs. How severe is my addiction problem? Compared to methadone, Suboxone produces a less potent effect, which greatly reduces its abuse and addiction potential. However, this may not be of benefit to someone recovering from a severe addiction problem. According to Semel Institute, the aftereffects of a severe addiction may actually warrant methadone’s stronger effect in order to relieve severe withdrawal and cravings effects. That being so, if you’re recovering from a mild or moderate addiction problem, Suboxone rehab makes for a better choice overall. Am I highly motivated to get well? Since Suboxone rehab can be administered on an outpatient basis, a person has considerably more freedom and responsibility in terms of following treatment protocols compared to methadone program requirements. If you’re highly motivated to overcome opiate addiction, such as wanting to keep your family together or keep your job, you’ll likely be able to handle the level of freedom and flexibility that Suboxone rehab allows. 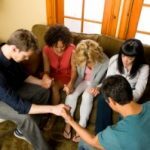 Have I had multiple relapse episodes while in drug treatment? Suboxone contains buprenorphine as well as naloxone, an added ingredient that acts as a safeguard against potential relapse episodes. In effect, naloxone will trigger withdrawal effects in the event a person relapses while in treatment. If you’ve relapse on multiple occasions in spite of past treatment attempts, Suboxone rehab may work well for you. Opiate addictions can cause extensive damage within the brain’s chemical system, leaving the brain in a diminished capacity long after a person stops using the drug. Suboxone drug rehab treatment can greatly relieve the degree of discomfort that comes with persistent withdrawal and drug cravings effects. If you or someone you know are considering Suboxone rehab and have more questions, or need help finding a program that meets your needs, please feel free to call our toll-free helpline at 800-533-1341 to speak with one of our addictions specialists. Can’t I Just Quit Using Suboxone on My Own?